See how bid cycles for large-dollar federal contracts are getting done— faster than ever. Fill out the form on this page to start the process! 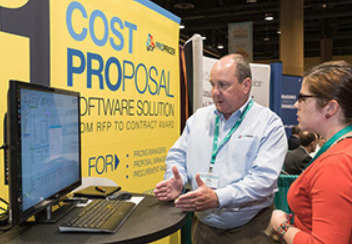 One of our representatives will contact you within one business day to schedule a live demonstration of our software's capabilities. In most cases, an online screen-sharing call is sufficient to demonstrate how PROPRICER could work within your organization. When that won't do, we're happy to come to you for a fully-customized demonstration for your entire team. is proudly made by Executive Business Services, Inc.